One of our repeat/favorite clients to work with is a writer on the new Star Trek (Picard!) 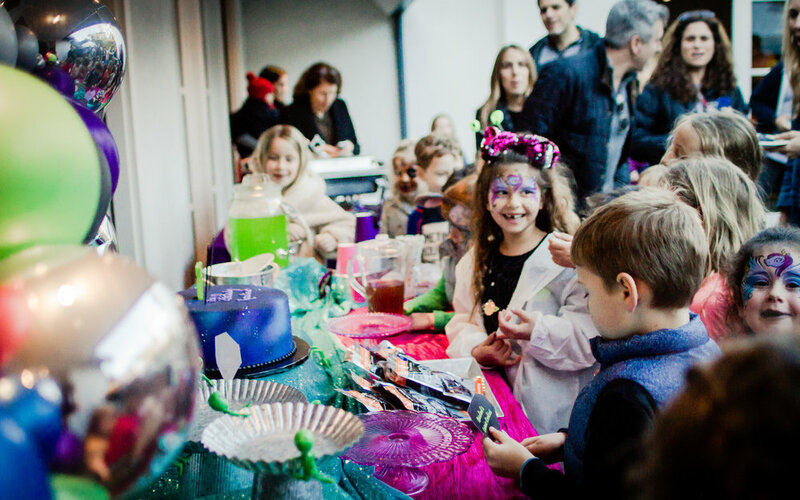 series, and when she contacted us to plan her daughter Rosalind’s outer space themed party, we immediately had several ideas on how to make this 7th birthday celebration out-of-this world! 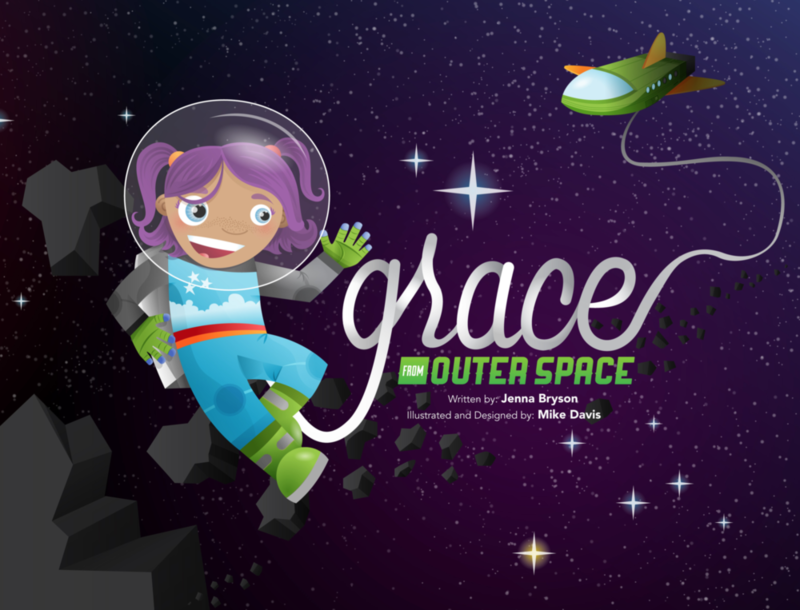 Check it out and order one of the first-edition hard covers if you have a space-loving kiddo. This turned out to be super fortuitous, as our client prefers to give out books as party favors! So we hooked-her-up with a whole case of books, and found a complimentary National Geographic space themed sticker book, too. Now onto the really really fun stuff: decor and desserts! The first thing we do when creating the look and feel of a themed party is find an inspiration image, then propose a color palette based on the colors in that image. 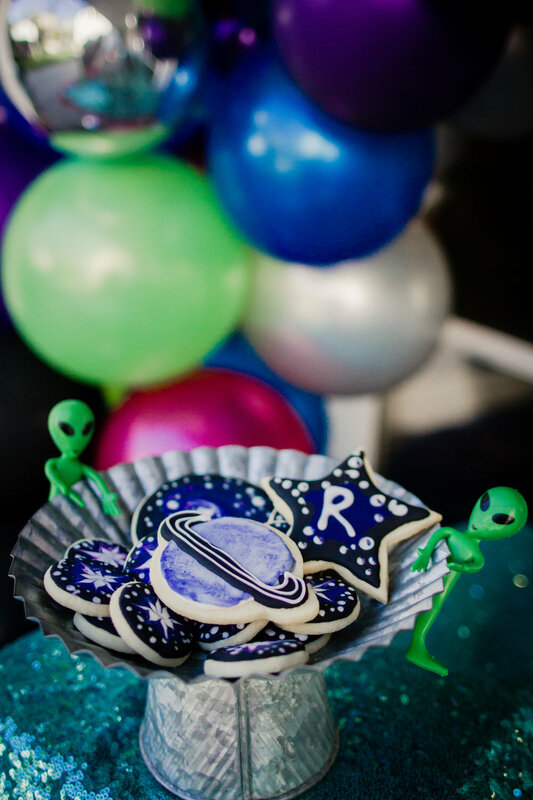 Because there are so many directions a space-themed party could go, we discussed the vibe with our client — she was into the idea of something vintage science fiction — and we made the big-headed “little green men” from vintage sci-fi movies are sort-of mascot for the party. See more of our party curation and design process by exploring the Pinterest board for this event. 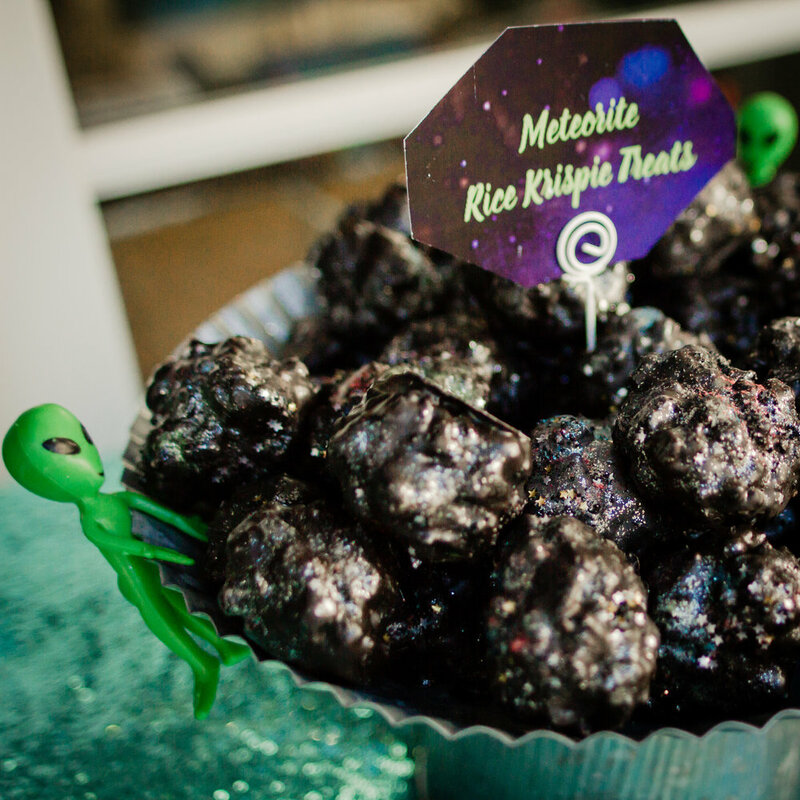 For themed sweets, hired our friend Nika at Sugar Studio L.A. to create galaxy-swirl and planetary sugar cookies, plus a collection of rice krispie treats designed too look like little meteorite rocks! These confectionary delights even had edible glitter and edible stars embedded into them. These RKTs were STELLAR and disappeared almost as quickly as the meteor that took out the dinosaurs (too soon?)! Our client wanted to keep the dessert table minimalist, so we designed a single, whimsical balloon half-arch, inspired by colors and swirls you might see in a Hubble telescope photo of some distant galaxy. It was beautifully constructed by the Balloonzilla team, as you’ll see in the gallery below. 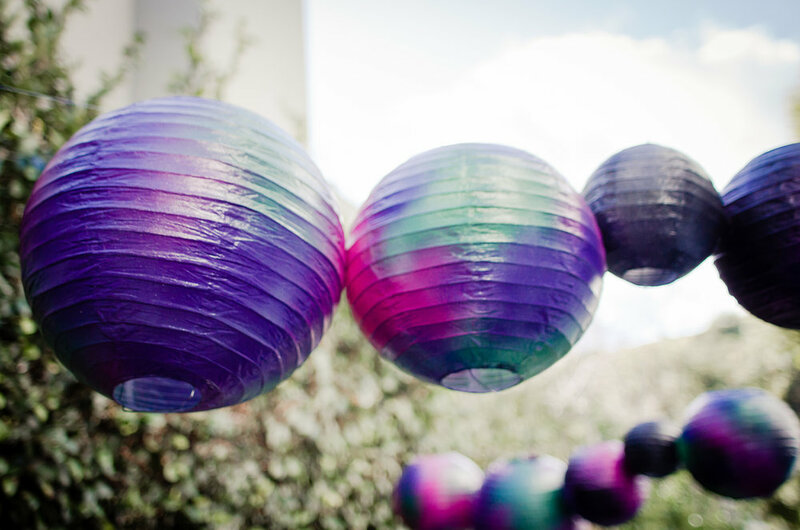 We hand spray-painted paper lanterns to look like planets, meteors, and moons (in the party color palette, of course) and hung them on fishing wire to appear as if they were “in orbit” overhead. 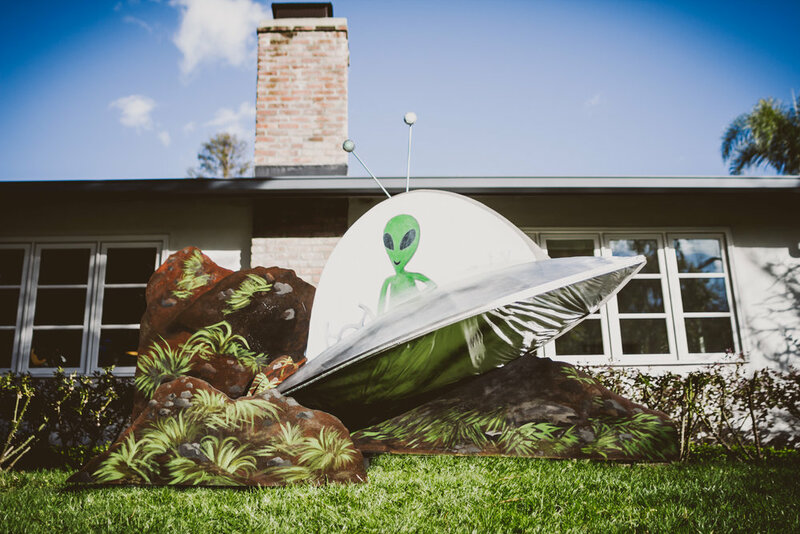 And out front welcoming guests, the pièce de résistance: a custom constructed UFO “crash landed” in the yard! This incredible prop even lit up at night! Huge thanks to the talented crew at Backlot Party Props for creating this immersive set-piece. 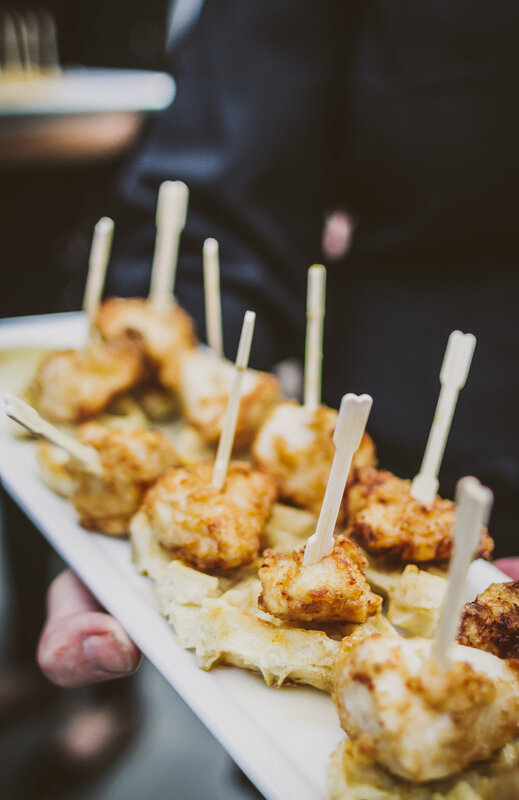 Next up is food and drink, probably the most important aspect of any party (gotta keep your guests’ taste buds satisfied and bellies full). 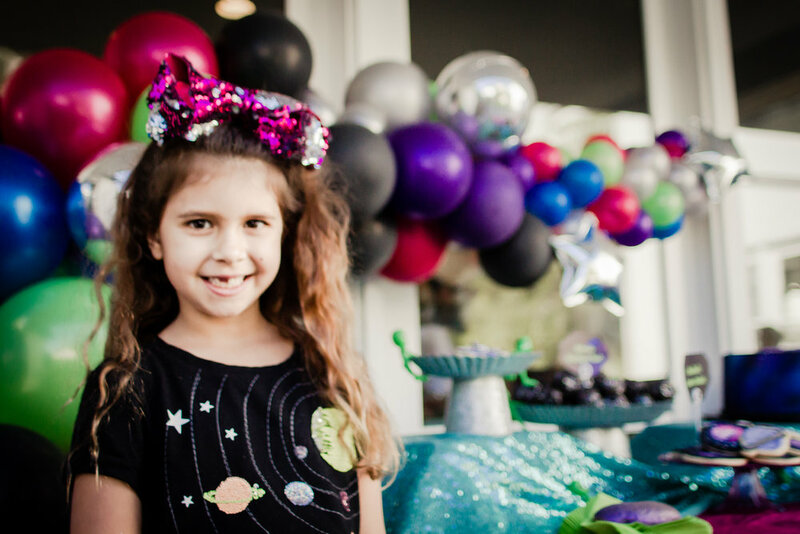 We created a comedic space-themed catering menu — provided by the Chef Wayne and co. of Sunset Catering — featuring items like “Milky Way Mac n’ Cheese” and specialty cocktails like the “Mars’garita” and the “Venutian Mule”. 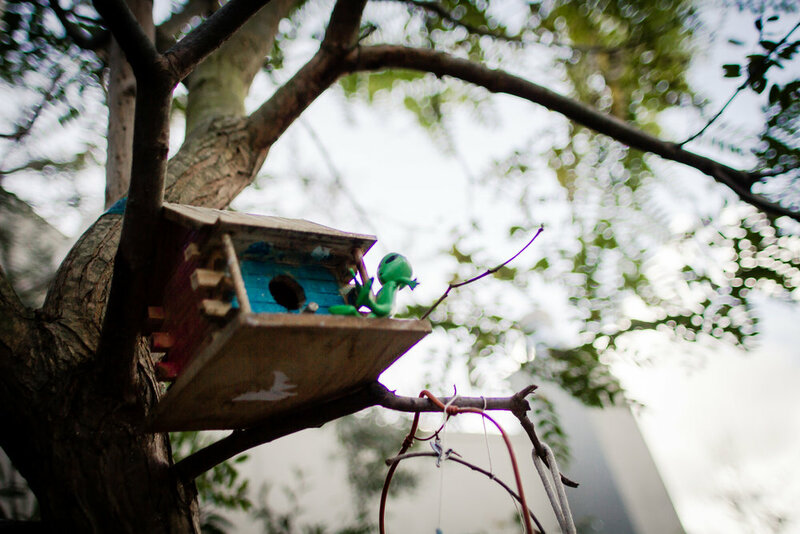 Then there were all of the little details sprinkled throughout to surprise guests! Alien head boppers to wear, “little green men” hiding amongst the desserts, in the garden, and up in the trees, green caution tape warning everyone about the “tribbles” in the playhouse, a “nebula in a jar” craft project, a custom poster for the entrance to Rosalind’s “biohazard” science experiment tent, astronaut ice cream, and a face painter to create space-themed designs (although several girls, including Rosalind, decided a cosmic unicorn was more their style… I’ll pitch that as her next birthday theme). 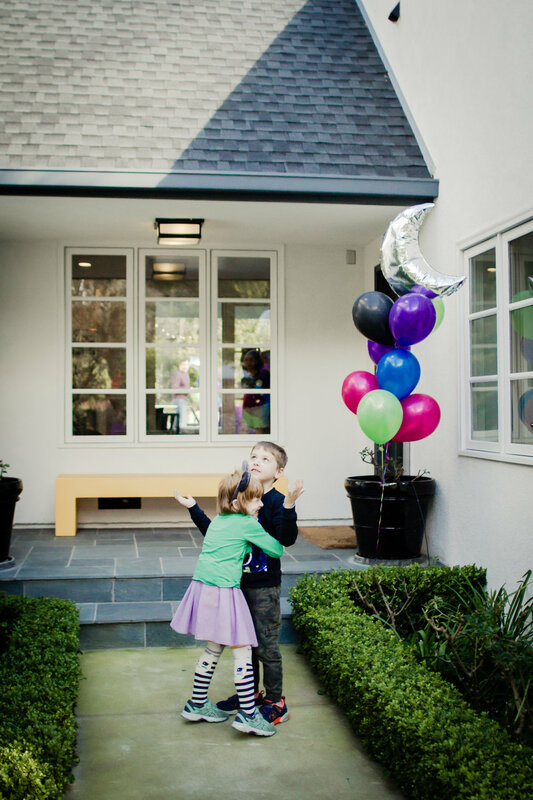 If you’d like help designing, planning, and putting together your next event (we also love baby and bridal showers, dinner parties, and adult birthdays) get in touch with us. 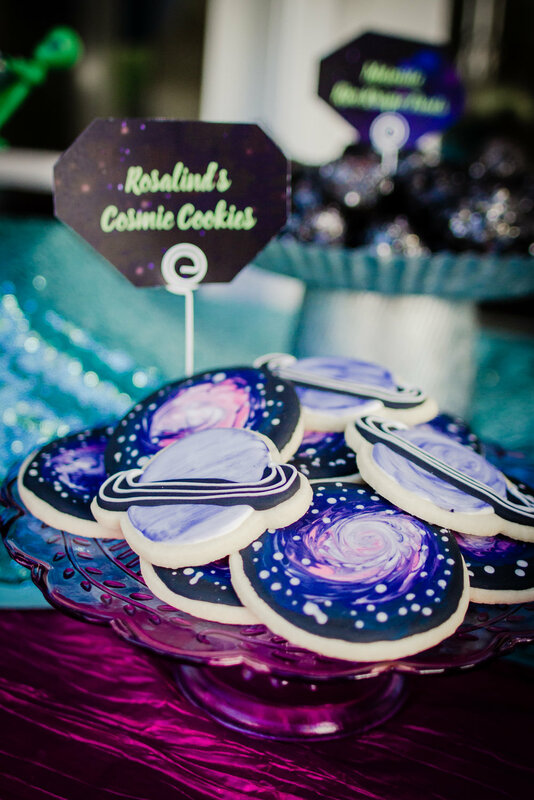 We’d love to make your next celebration out-of-this-world, too!